The abstracts for the conference are listed below by track. We encourage you to reach for sessions you won’t want to miss! At a time when state and federal higher education funding encounter continual threats and an ongoing downward trend, information technology leaders are frequently faced with difficult challenges – is it better to reduce costs or services? How heavily does technology impact the student experience, and how tolerant are students of aging solutions? With these concerns in mind, Metropolitan State University of Denver is exploring a student technology fee structure as an option to adequately fund student-facing technologies in a sustainable manner without creating an undue burden on the student body or saddle the University with new unfunded mandates. As part of this exploration, MSU Denver surveyed peers to identify trends in student fee application and allocation, the results of which and subsequent analysis are presented within this paper. Currently, at Fukuoka University, the university administration system, the educational research system, the library system, etc., which are the main business systems of our university are being updated. In the past systems, the system operation period has been prolonged, such as using an on-premises type system for about 7 to 10 years from the viewpoint of operational costs. As a result, the number of personnel who experienced the system planning and updating, the system became a black-box and the number of persons who can examine the system decreased. In order to improve the situation, we planned and held workshops on human resource development aimed at experiencing and acquiring skills necessary for the planning of information systems. Eleven groups consisting of 63 members of 34 departments were held for 6 lectures over time. In the workshop, participants brought down the problems of departments, organized them, grouped and set key issues for each group. We pursued the cause of the problem and selected the solution point. In examining the solution, we tried to systematize it to clearly show the return on investment. Finally, each group proposed solutions for the tasks considered. Through this workshop, participants were able to know and share problems across sectors with little interaction. In addition, it was an opportunity to experience and learn fundamental measures in system planning. We report on the circumstances, contents, and effects of the workshop project. Higher education has entered a period of rapid change, driven in part by technology. As technology evolves, colleges and universities are forcing to re-evaluate how they operate, from changing funding models to increased focus on digital learning. How can schools keep up? In this session, Rajiv Shenoy (Chief Technology Officer) will discuss how technology is changing higher education, where it is headed and what IT staff can do to better prepare for the constant evolution that drives the entire campus experience. During a single academic year, Carnegie Mellon University Libraries’ Digital Strategies team launched two major IT service offerings in support of university-wide strategic initiatives: A new Integrated Library System and an Enterprise Research Information Management System. The former replaces the operational heart of the library; the latter positions the library at the center of the research enterprise at Carnegie Mellon, introducing Libraries to entirely new and demanding customers and partners. We outline the challenges of engaging campus business partners in a remarkably decentralized environment, and present strategies and tactics used by the Library IT project and service managers to facilitate successful service launches. This includes a review of approaches to engagement and timeline management with campus customers and data providers, vendor management tactics, and our numerous and evolving efforts to foster support for our services and associated projects. A beneficial botnet, which tries to cope with technology of malicious botnets such as peer to peer (P2P) networking and Domain Generation Algorithm (DGA), is discussed. In order to cope with such botnets’ technology, we are developing a beneficial botnet as an anti-bot measure, using our previous beneficial bot. The beneficial botnet is a group of beneficial bots. The P2P communication of malicious botnet is hard to detect by a single Intrusion Detection System (IDS). Our beneficial botnet has the ability to detect P2P communication, using collaboration of our beneficial bots. The beneficial bot could detect communication of the pseudo botnet which mimics malicious botnet communication. Our beneficial botnet may also detect communication using DGA. Furthermore, our beneficial botnet has ability to cope with new technology of new botnets, because our beneficial botnet has the ability to evolve, as same as malicious botnets. The EDUCAUSE 2018 Top 10 IT Issues list – Student Success #2, Data-Enabled Institutional Culture #4, and Data Management and Governance #8. This session will outline Lehigh’s Library and Technology Services (LTS) approach to address these three top issues. In the age of cloud computing, blogging, texting, and the internet of things, Lehigh felt a need to revamp our data governance structures and streamline our data analytics processes to enable us to develop and explore the use of both structured and unstructured data in our decision making processes. Data governance and data analytics at Lehigh have recently been realigned to work closely with Institutional Research. This paper will cover how our two organizations are now sharing resources to more closely align with our institution’s goals to provide better analytics tools to the campus; to improve the student experience, and to make our campus more efficient. Our initial governance structures were developed in the early 2000’s, rejuvenated in 2014, and have just recently been totally revised. Participants will be encouraged to share their institutions’ governance and data analytics strategies. When reaching for the stars, one has to have a long-term strategy that includes a budget to support goals, and a replacement plan for critical infrastructure. How do IT department budget cycles fit into a school’s overall financial cycle? What should be considered when developing a plan for planned replacement? How can IT departments work with the school’s administration to get more funds? How can equipment and facility lifecycles be extended without degrading services? This panel discussion will address these questions by providing an overview of a school’s fiscal cycle, how IT department budgets operate within that context, and strategies that can be used to advance the mission. Mat Felthousen, Vice President + CIO, Office of Support Service at the Cleveland Institute of Art, David Weil, AVP + CIO, Information Technology at Ithaca College and Terry Ruger, Associate Director of Client Technologies at Ithaca College, will discuss their experiences with budgeting for projects and lifecycle management. They will speak from backgrounds in technology, as well as in construction & renovation projects. This is intended to be an open dialog with the audience; we want to hear your questions and experiences also. I want to present Software Licensing management which is one of the challenges facing Higher ED IT departments and use my department as a case example of what worked and what didn’t in organizing data for Software Asset Management and what is involved with a maintaining/using a functioning License Management System (LM). Running reports and being prepared for an audit. I will also be discussing working with vendors and departments in getting the information needed in getting the bigger picture in keeping track and understanding and managing your entitlements. Why Software Asset Management is so important, discussing compliance and risk avoidance. Adam Ayer is the President of LicenseLogic LLC which provides Software Asset Management Training and consulting for Software license Management and compliance and Risk Management. He has been providing his services since 2002. This session will include a review of the development and delivery of a plan to support faculty in using a new Active Learning Center classroom building, which opened up in the fall of 2017 on the Purdue University West Lafayette campus. With ever increasing oversight over university budgets, the roll-out of a $79 million building with 27 classrooms brought with it a responsibility for campus partners to work together to make it a success in teaching and learning. Learn what we did at Purdue to ensure faculty would make the utmost use of these new classrooms and collaboration spaces by focusing our efforts across several campus support groups and combining our efforts into training faculty in using the new Active Learning Center. Participants will take away ideas for faculty engagement strategies at their institution to ensure the success of teaching and learning initiatives. Participants will also understand the importance of including a broad spectrum of institutional stakeholders in formulating support plans for newly rolled out learning spaces. Participants should be prepared for discussion about similar initiatives at their institutions to discuss what has been successful in the training of faculty to use their active learning spaces. The presentation will discuss lessons learned in the implementation of Learning Managements Systems in the classroom. This presentation will address the role of the instructor as a change agent, and critical stakeholder in the successful adoption and use of educational technology in the classroom. Specifically, the presentation will explores instructors’ digital literacy skill sets and habits relating to the use of personal mediated communication technology. The instructor’s backgrounds in these areas will be reviewed as potential indicators for the successful adoption of digital curriculum tools in the classroom. In addition to discussing research, the speakers will reflect on their collective experiences as faculty, instructional technologists, and technology managers. This presentation and paper will explore how universities through their academic departments, technology offices, and student engagement initiatives can collaborate with students, who are digital natives, on practicing and expanding digital citizenship within the campus community. This presentation and paper will provide research-based best practices that can be implemented without creating an additional burden on faculty, staff, and students. Lehigh University’s Library & Technology Services (LTS) department developed a virtual, gamified orientation designed to educate first-year students on the most important library and IT services offered. Prior to this virtual orientation, LTS held optional, on-site orientations for first-year students, which had low attendance rates. The low attendance directly resulted in many first-year students lacking awareness in not only the services LTS offered but also how and where to ask for assistance regarding the services. The LTS Ramp-Up is a modular course built and administered in Moodle that introduces first-year students to the core library and technology services that will support academic success and facilitate a productive scholarly experience. The course features badges and prizes to incentivize participation and made use of Panopto to create several closed-captioned instructional video shorts. The end goals of the course were to empower first-year students with the information needed to successfully begin using the most-used LTS services, introduce them to Lehigh’s branded instance of Moodle, and provide the convenience of self-paced, online learning. A Moodle-based e-learning system will replace RWTH Aachen University’s SharePoint-based e-learning system, which was introduced 10 years ago, within the course of digitizing teaching processes. The strategic background for the university management is that in the competition for students, teaching must become more attractive through innovative formats. At the same time, students demand the support of new, state of the art teaching scenarios and formats. In contrast to the old SharePoint-based LMS solution, there is a large Moodle community at German universities that actively promotes developing Moodle further according to university-specific requirements. Through the collaborative development of Moodle within the community, interests can be pooled, meaning individual efforts can be reduced and a sustainable and quality-assured development of the LMS can be guaranteed. Within the context of introducing a new e-learning platform, not only technical challenges arose but numerous organizational and procedural changes surfaced as well. Additionally, the stakeholders wanted to keep the operation and functionalities close to the old system in order to make the transition for users as simple as possible, while at the same time, developing a modern platform with up-to-date user guidance and innovative teaching formats. In order to survive a learning management system (LMS) implementation an understanding of the needs of the various stakeholders is necessary. The goal of every LMS implementation is to ensure the use of the system by instructors and students to improve teaching and communication thereby enhancing learning outcomes of the students. If the teachers and students do not use the system, the system is useless. This research is motivated by the importance of identifying and understanding various stakeholders involved in the LMS implementation process in order to anticipate possible challenges and identify critical success factors essential for the effective adoption of a new LMS system. To this end, we define the term stakeholder, we conducted a stakeholder analysis to identify and classify the key stakeholders in an LMS implementation process. We then analyze their goals and needs, and how they collaborate in the implementation process. The findings of this work will provide institutions of higher learning an overview of the implementation process and useful insights into the needs of the stakeholders, which will, in turn, ensure an effective and efficient implementation of the LMS. Virtual reality continues to top lists of emerging technologies poised to transform or disrupt teaching and learning. On most campuses, the first foray into Virtual Reality is to give faculty and students an opportunity to experience it. However, once that happens, the next step often depends on the conversations started by those initial experiences and individual faculty and student interest. In this paper, we’ll discuss strategies for moving beyond demos into the classroom at different institutions, what’s worked at Lewis & Clark College, and support considerations. BitLocker drive encryption has been widely implemented at Lehigh University since 2014 on both laptop and desktop PCs. This retrospective review will summarize how BitLocker was selected as Lehigh University’s full-disk encryption tool, how BitLocker was deployed, how the project was communicated to end-users, and recap many lessons learned over the past four years including the transition to Windows 10. In December 2017, a Japanese university announced large-scale personal information leak. According to open information, the leak was caused on several systems by several unauthorized accesses. Also in February 2018, a Japanese research institute announced a large-scale security incident. Even only in Japan, many reports of cyber security incidents are announced for a year. After security incidents occur, a supervisory agency (in these cases, Ministry of Education, Culture, Sports, Science and Technology a.k.a. MEXT) and security advisory consulting companies order the institutes to “strengthen governance in their own institutes”, “develop preventive measures” and even “buy (expensive) security appliances”. I want to share the open information of case of a certain incident and its cleanup in Japanese university. And I also want to talk together about what is “governance” in the higher education and research institutes, how we operate Computer Emergency Respons Team / Computer Security Incident Response Team. Interpersonal Relationships are a foundational tool for accomplishing objectives in any organizational context but play an even more important role in Higher Education environments than many others. This session explores the value of relationships as a purposeful technique for achieving goals when no established process exists, issues are complex, or resources are scarce – scenarios which are all too familiar in Information Technology. A brief literature review sets the stage for gaining a better understanding of what drives various college and university environments and their organizational behavior models. Bases of Power are addressed as an academic concept related to influence tactics and their expected outcomes. Coupling an understanding of Higher Education cultural settings, power, and influence tactics we will examine how university decisions are made, and practical methods for directing those decisions towards desired outcomes within IT and throughout the campus communities we support. The value of relationships as an influence technique is established and strategies for how and when to cultivate relationships are discussed as they pertain to staff in diverse roles, from front-line support to CIO. Washington University in St Louis is provided throughout this work as an example of an “Organized Anarchy” behavioral model where many semi-autonomous units exist, and actions are many times only loosely coupled to results. Meetings. Everyone has them, no one particularly likes them. Does your institution have a fantastic method of getting things done in meetings? Could your institution use help in finding better ways of running efficient meetings? Come join us for this workshop on small group communication and efficiency. In this workshop we will discuss the Task Oriented Model, stages of small group development, and share experiences of working in successful (and unsuccessful) small groups. We will look for strategies to improve our performance in meetings and other small group situations and talk about what works in your organizational culture and what hasn’t. By the end of the workshop, participants will have a better understanding of small group development, methods of small group communication and strengths and weaknesses in how meetings are run at their institution. Developing a clear Scope of Work (SOW) can be challenging. Some SOWs may be vague or lack critical details. Others have requirements that are overly prescriptive and can limit vendor innovation. Results from twenty years of procurement research will showcase how poor SOWs create a “tumbling dominoes” effect that brings risk to the owner. This session will identify the (surprisingly simple!) elements of an effective SOW. Templates for developing SOWs will be provided, along with discussion of how to increase vendor innovation during the bidding process. Case studies from a variety of auxiliary projects will be shared, with an emphasis on IT services. This diverse panel will share how planning and goal-setting – yearly, monthly, and weekly – has helped increase their productivity, their job satisfaction, and personal growth. Learn how weekly Ninja planning and reflection brings the next week into focus and celebrates last week’s accomplishments. Get a glimpse into the planners of high-achieving professionals who balance work productivity with personal commitments, volunteerism, and mandatory fun. No two paths to middle and senior leadership positions are exactly the same, but there are ways you can prepare yourself for a successful journey. During this interactive session we will explore topics such as thinking about your personal leadership style, preparing for the journey, thinking about different pathways to leadership, tips and discussions about the differences of being an internal vs. an external candidate, working with search firms, presenting yourself in writing, via phone, and during the interview, and lots more. First time leadership comes with a unique set of challenges. Whether you are promoted from within your organization or taking on a leadership role in a new environment, managing people for the first time is exciting, daunting and let’s face it…tricky! During this facilitated discussion we will explore what leadership and management looks like in higher ed IT today. Leading and DOING – striking a balance without getting mired down in the minutia. Finding your voice at THE table. People, people who LEAD people…are the luckiest people?? From teammate to team leader. How to manage people you’ve worked with for years. Conflict resolution on Day One – sure, why not! SIGUCCS mentorship program. Seek support and you shall find it! Bring your successes, failures. challenges and conundrums to what is sure to be a lively discussion on how to lead for the first time and live to tell the tales. Are you a self starter or do you follow prescribed steps within your institution to achieve career success? Are you waiting for an opportunity or do you proactively prepare for the next phase in your career? Whether you are in a hierarchical or flat organization, what impact can you achieve through community buy-in and what does that growth look like at your institution or elsewhere? Building strategic partnerships within your institution, professional organizations, community involvement and other networking activities can help you grow your career. The ability to work in cross-functional teams, motivates your desired effect to infect others passions for the work you do and allows for your skills to shine. However, it can be difficult at times to see your way forward professionally. Please join us in this session as we facilitate an interactive conversation around the strategies needed to develop your career and keep it moving forward. Join me as I walk through my journey to becoming an effective leader of individuals and building better teams. Being a manager does not mean you can lead a team. Managers are often never properly trained for the responsibility of becoming a leader. True leadership is a never ending experience of personal and professional evolution and does not happen overnight. Even when the desire to lead and help others exists, it can take decades to develop methodology that works for you and those you lead. In this session, I share my experiences and insight through real-world challenges that eventually led me to improvement and success in my own experience as a manager. I will share ways you can help struggling members of your team, how to have tough conversations with a positive focus, helping create the professional “rock star” by harnessing their individuality, and helping employees advance by creating a unique career plan. Finally, we will discuss ways individuals can truly become part of a collective, moving forward as a team and not just people who work together. In sharing my own experiences and having an honest conversation about how to re-approach who we are as leaders, you can walk away with new tools and a perspective on individual development as the essential foundation of a great team. The contextual walk-through of my experience as a manager will set the stage for helpful specifics including some of the tools that I employ in my own day-to-day management of teams. This will include resources such as template forms I use when working with employees for performance improvement, goals and expectations setting and professional development. We will discuss the SMART method and how to customize and implement it to create solid individual goals that will complement the team. Other technologies, online resources as well as methods and tools will be touched upon in the session. During the 2016-17 academic year, the IT departments of Carleton and Macalester colleges exchanged two of their staff for a period of three months. Carleton’s Director of Technology Support traded roles with Macalester’s Academic Information Associate for Humanities. The idea was to provide both staff members and the respective departments with a fresh perspective on IT operations at a similar and yet different institution. The proximity of the schools, and an existing relationship between the departments, lent itself well to this professional development opportunity. Carleton’s visiting Director of Technology Support, stepping in to lead an established team of ten employees, would gain some valuable management experience, and a perspective from that side of the IT equation. Meanwhile, Macalester’s visiting Academic Information Associate, while embedded within the academic departments he was to support, would get a fresh perspective on academic IT support, and perhaps some distance from an intense management role. At an institutional level, through this exchange (intercollegiate collaboration? ), each college hoped to help two long term employees gain a broader perspective on IT support at primarily undergraduate institutions. Experiencing familiar challenges in a new setting would reveal new perspectives each staff member could bring back to their home institution, strengthening both IT organizations. But, did it work? Did we get what we expected? Did we get what we wanted? Did we get something valuable? This paper will attempt to report on each of these questions. Mentoring brings secret rewards whether you are a mentor or mentee. Although it’s a long time practice, it has had a recent resurgence as the way to move your career forward. Come learn some of the secrets and advantages to being a mentor or mentee. The European Bologna Process, as well as the digital revolution in teaching worldwide, has prompted RWTH Aachen University to switch to a new campus management system (CMS) that all students (over 44,500) and most of the approximately 9,200 employees of RWTH Aachen University will have to use by winter term 2018/19. The introduction of the new CMS “RWTHonline” is an answer to the requirements of teaching digitization and the increased complexity of student lifecycle processes. Additionally, it is an opportunity to address the problem of too many different systems being in use at the university. However, it has various support, communication, and documentation challenges, particularly the need to reorganize decentralized support structures. The latter challenge had initially only been marginally considered within the implementation project. However, the heterogeneous working methods, departmental structures and process understandings of the affected parties as well as the importance and complexity of the issue, called for the initiation of a sub-project solely dedicated to developing new support structures. Under the project management of the IT Center, all parties involved are working closely together to develop new accepted university-wide support structures. The paper presents the particular challenges of setting up new university-wide support structures within the context of the new CMS “RWTHonline” as well as possible solutions. Identifying and prioritizing IT projects is a challenge and often difficult to do. There’s usually too much work and no one wants to say no. It’s also complicated to define how requests are evaluated and processed since there are often competing priorities and scope and impact vary. All too often, the campus community is left out of the process, has no voice or input into technical priorities and no idea what IT is working on. UNC Charlotte recently redesigned its’ governance model to improve visibility into campus-wide technology needs, increase campus awareness of IT services and start corralling campus purchases. The end result is a shared, collaborative governance model, a clear 4 step project evaluation process and an easy to use online database that displays information about all IT projects. During this session, we will discuss the new governance model and project evaluation process. Student success and retention continues to be at the top of the list in many institutions strategic initiatives. Harper College Information Technology has developed a culture that provides excellent support to Students, Faculty, and Staff. Using technology, Harper College IT partners with the Enrollment Services team to implement and utilize predicative analytics, early alert tools, degree planning, and scheduling tools. All instructional classrooms are equipped with smart podiums. IT staff go above and beyond to ensure classrooms and digital materials are available for all classes. All of this technology requires a service oriented IT staff. Learn how Harper College Information Technology leverages its service desk to build relationships with all campus divisions in order to support student success initiatives. This session will analyze and provide techniques to help build successful relationships. Discuss how team members are encouraged to solve problems through creative solutions and how Harper College used “The Fred Factor” book by Mark Sanborn as a model to encourage Harper IT staff to “be a Fred”. The Harper College Service Desk is the front-line support for all technology related inquires and issues. Using real-live examples, learn how Harper College Service Desk and support staff create an environment that provides a quick, friendly, non-threating and knowledgeable way for Harper Students, Faculty, and Staff to request technical assistance. This will be an interactive workshop with a brief overview of the topic before the presenters engage the participants in the discussion by using case studies and real-life situations. The presenters will provide proven examples of new initiatives that have made an improvement in satisfaction with the level of service Students, Faculty, and Staff receive from the Harper IT division. Examples of service calls that have gone well and some that have not gone so well will be provided. In the list of priorities for students at school, a job is probably pretty low on the list. They are more concerned with getting good grades, figuring out their life and hanging out with friends. But for those students that have on campus jobs, how do managers and supervisors capture their attention enough to foster a sense of ownership in the services they provide to their peers, while also developing their leadership skills. When time with student workers is sometimes limited to just a few hours per week, maintaining their interest and buy-in to the mission is challenging. Through the years as a manager of students I find that every new crop of students pose their own challenges in gaining their buy-in. I have found some success through the years in training, mentoring and building teams of student leaders, but there are always other ways to do this. What have you and your organizations found to be successful? Let’s discuss ways to better foster job ownership within our student workers, while also developing their leadership skills. Lean and Six Sigma methodologies have spread across oceans and industries, originating in Japan with the Toyota Production System. For decades, Toyota’s process improvement and defect-reduction efforts were studied and reproduced by other manufacturing giants with varying degrees of success, depending on how closely they followed the Toyota method. Only in recent years have other industries, such as healthcare and IT, been able to deviate from the original Lean framework and still create a Lean culture with the benefits of continuous process improvement. In this session, I’ll share my background as a performance improvement coordinator on the front lines of implementing Lean and Six Sigma in the operating rooms of a major academic medical center, and my experiences in flexing and adapting the original Japanese concepts to the more-irregular “manufacturing” of patient care. After shifting my career focus to higher education, I’ve found even more portability in the culture of Lean, and important lessons that IT professionals can utilize in conjunction with familiar frameworks such as ITIL and Agile. Topics will include: the Japanese concepts of muda and mura (waste and unevenness) as they relate to the IT value stream, what value means to the higher ed customer, kaizen (“rapid improvement”) in solution architecture and testing, A3 visual project tracking, front-line employee empowerment in continual improvement, and the ways leadership can support Lean culture. This session will outline the steps necessary to cultivate a service-minded helpdesk. We will focus on building the skillsets and knowledge the helpdesk staff need, and then on how supervisors can develop a mindset of continuous learning, and motivate their team to deliver world class service. The techniques we will discuss are being used at the University of West Georgia to make the Information Technology Services – Client Services, Service Desk known for their world class customer service. America’s Got Talent! Developing the right team – hiring the right people who are competent and customer-service focused with a mixture of technical and customer-service skills. MacGyver! Providing training with consistent feedback to the agents – review the investments in the agent’s continuing education towards their literacy skills, techniques, technical skills and people skills. Say Yes to the Desk! Enhancing communication skills – review of telephone scripts, communication tactics, collaboration between teams and email etiquette. Let’s Get Ready to Rumble! Providing the best methods for ticket tracking and escalation. Numbers! What metrics are needed and how to make them meaningful to staff. Survivor! The tools needed for staff to be successful. Family Feud! How to find value within a Survey. Back to the Future!! Plan for the Future. Each of the topics will be discussed in-depth giving attention to specifics of how you can cultivate a service-minded helpdesk in a microwave age using best practices for a customer-focused, optimized and operational service desk. Over the past few decades there has been a decline in the quality of service in many industries. Gas stations have gone from being full-service, with oil and tire checks, to transactional with little to no provided services at all. Many IT departments have seen a similar service decline over an even shorter timeframe while some IT organizations have never had the opportunity to be anything more than transactional. The Bowdoin College Service Desk has been able to take some simple concepts presented during a Disney Institute course to increase the overall satisfaction of its clients by creating a positive, emotional connection with them and to put the “Service” back into the “Service Desk”. This presentation will briefly discuss some of the ideas that are used by Disney, how they are used at Bowdoin and how others can apply them in their own organization. Supporting IT on a college campus can be overwhelming. It’s easy to end up feeling as if you are herding cats – an impossible and futile attempt to impose control over that which is inherently uncontrollable. We propose that by thinking of our support experiences individually it can be easier to make them successful. In other words, the best way to wrangle cats may be one at a time. In this session, we’ll review established customer service best practices and then lead a discussion how to use these practices when providing technical support to the cats from T.S. Eliot’s Old Possum’s Book of Practical Cats. The future is now! User expectations and technology are going to force your Service Desk to make tremendous changes in the next 24 months, whether you are ready or willing. We’ll explore the outcomes of the latest CIO survey followed by a discussion about whether some forward-looking technologies may already be “old school”. Implementing a new system and training your user base can be a harrowing experience for any IT professional – especially if you must convince your users that you need a new system (and that, yes, they must use it, too). Information security has become increasingly, exponentially important and implementing 2-Factor Authentication (2FA) is just one way institutions help keep their users secure. To show users how to keep the institution secure, design interactive documentation that answers questions and feels personalized without losing them in the details. The more they get to interact with the information you provide them, the more questions they may have. That’s perfect! Use this as a stepping off point to teach them even more about information security! The more secure they become with their own information, the more likely they are to feel like a rock star. Serving a university community of over 49,000 students and over 20,000 faculty and staff is an ever-evolving challenge. The Rutgers University Office of Information Technology in New Brunswick has a unique help desk and computer lab staff. The help desk and computer labs are run primarily by 300 student workers along with 20 full-time staff. This arrangement presents a unique dilemma on how to train both student and full-time employees. Our training programming is based on the belief that we all can learn something from each other. This benefits our organization because it allows full-time staff to be current with technology and empowers our student staff to take on leadership roles. This approach allows our operation to evolve at the same pace as technology and campus changes. Training occurs in a variety of ways including scaffolding, classes, and the use of repositories. Current needs for training are evaluated regularly through committee, staff and customer feedback, and the evaluation of technological trends. Classes and modules are based on common issues that our students may encounter while on the job. We also offer training in popular hobbies such as building a computer, 3D printing, and app design. The autonomy and creativity given to our employees for training benefits us immensely. Students have developed apps to streamline work processes and have enabled our organization to take on new challenges such as creating a new staff portal and expanding our digital signage footprint. Southeast Missouri State University’s Information Technology department employs 60 student workers in the open computer labs and help desk. A one-day training for new hires and all student workers is held at the beginning of each semester. This day consists of disseminating critical information to student workers so they can fulfill their duties effectively. During previous trainings, hard copies of materials were provided to them. However, they would often fail to remember the necessary details. For the Spring 2017 semester, Southeast migrated to using Office 365 across campus. After its implementation, it was believed the applications included in the Office365 suite would provide an alternative delivery method to the student workers, and allow for easier access to their training materials. After uploading content to the group site, we found that publication costs decreased, time spent on trainings was shorter, updating materials became easier, and students were able to complete their tasks more efficiently. This change has resulted in improved customer service and fewer support calls to their supervisor. This year, we began using the Microsoft Teams application. This allows us to build onto our existing group site and take advantage of the built-in applications to create a knowledge base, link to work-related websites, and to offer an area for our students to collaborate. We have found that by using the tools offered in Office 365, our student workers are more productive and informed, and their lives have been made easier by having the tools they need in one convenient area. As institutions of higher learning, we are continually asked to do more with less. Budgets shrink, positions are eliminated but yet we all are expected to keep our IT operation running efficiently and staying agile in the process. Of course, some of these problems are often beyond our control but what can we do to make sure that we are prepared when the axe falls? Cross training technical teams is one way to ensure your operating environment remains stable and has the ability to thrive. In this facilitated discussion, we would like to explore how your organizations have managed to cross-train technical teams and discuss some of the success stories and challenges. What prompted you to explore cross-training options? How did you get your staff to “buy-in” to the process? What were the anticipated outcomes vs. the reality? Join Angel Williams, Manager of Tulane University’s Network Operation Center and Sheldon Jones, Associate Director of Tulane’s Technical Support as they facilitate an open discussion on this topic and discuss their own experiences and look forward to hearing yours. Utilizing both small and large optimizations in an organization’s workflow can allow for smaller teams to succeed on larger projects. At St. Lawrence University, the User Services team of just four full-time technicians provides level 2 tech support for over 3200 employees and students, 2100 computers, 180 printers and copiers, and 120 classrooms. Additionally, we provide audiovisual setups and support for assorted events taking place each day, roll out hundreds of new computers on an annual schedule, and perform other duties as assigned. To complete these tasks, we use a combination of different time-saving practices and optimizations. Some examples include training student technicians to complete higher-level tickets, communicating efficiently through technologies such as Slack, and keeping each technician specialized in certain disciplines and cross-training technicians so that they can fill in for each other. We are always looking to improve and striving to find more ways to save time and keep the workflow smooth and steady. For many of us, we didn’t have childhood notions of growing up to become Information Technology professionals. Most of the technology we interact with have yet to come into existence. Concepts and objects which we interact with—and make decisions about—on daily basis simply were not invented decades ago. There are exciting developments which often happen in our career fields, yet there are constant uncertainties. Unexpected events happen that are out of our control. How can we anticipate and learn to exist with technological changes? How do we navigate through uncharted waters of organizational change, shifting business needs, and fiscal realities? This Lightning Talk will address these uncomfortable questions and suggestions for addressing them. 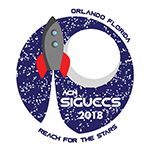 The SIGUCCS 2018 Conference in Orlando will be my twelfth conference which I will be attending. From my first conference in 2005 (Monterey, CA) to last year’s event in Seattle, I have cherished and put in practice what I had learned at conferences into my career activities (and beyond). In this Lightning Talk, I will connect and map 12 lessons learned to my SIGUCCS moments. Curiously, I have discovered that not all of these valuable lessons happened during formal conference sessions. These lessons encompass a wide swath of disciplines, including leadership, networking, professional development, communication, and time management. Physical storage solution is expensive, time consuming and wasteful. At the USC Suzanne Dworak-Peck School of Social Work, we have started training users to use university-provided resources such as OneDrive for Business to help ease the financial burden and maintenance required to keep in-house storage arrays running. While there is a small learning curve to using such tool, users are slowly adopting this new tool to collaborate, share, and store their big data and have access across multiple platforms. Dance and information technology have several concepts in common: agility, flexibility, balance, guidelines, specialized skills, strength, and “doing more with less”. The physical and mental health benefits of dancing and taking dance classes are well documented. In this short presentation, I am going to focus on those benefits that specifically help me as an IT support professional in hopes that other IT professionals would benefit as well. In addition to the benefit of stress relief, transferable skills to IT work include learning new skills and revisiting a “beginner’s mindset”, learning to take criticism, improving posture and range of motion, communicating with others, encouraging teamwork, and troubleshooting problems. It is important to schedule time in your workday for both your professional and personal self. Using this time to manage your stress and budget your time helps to prevent burn out and allows you to become a more organized employee. Ultimately, taking a little time to look at your whole work-life picture each day will help you organize all your tasks to make them flow more efficiently without feeling overwhelmed. Amanda Messer’s closing keynote address of the 2017 SIGUCCS Annual Conference focused on the theme, “Because I Said I Would”. Before you can follow through on a commitment, you need to be willing to make one. This quick presentation will offer tips on when and how to say yes to assignments even when you can’t say no, questions to ask yourself when you are faced with an opportunity to grow as a professional, affirming your organization’s values with your actions, and choosing the adventure (while remembering that a good adventure is one you come home from). I will collect and share stories of mistakes made by IT professionals. We all make mistakes. We are often afraid to talk about things that have gone wrong, but mistakes are also part of the learning process. If we are better able to talk to each other about mistakes made and our process of recovery, we will all benefit in real and tangible ways. On our campus, lack of sleep is held up as some bizarre badge of honor; it’s almost competitive. “I haven’t had a good night’s sleep since Sunday!” “Yeah? Well at least you slept!” And, it’s not just the students: faculty and staff are not always the greatest role models for our young charges. In fact, the US as a nation has a problem with this whole sleep thing, so that even the CDC has identified sleep deprivation as a public health epidemic. As someone who is just resurfacing after decades of chronic sleep problems, seeing these habits develop in our students, and firmly established in my colleagues, is both dismaying, and little understandable. I would like to take a few minutes of your time to look at some sleep-related numbers, on campuses and across the nation. But more importantly, I would like to review the potential impact on our professional lives, our performance at work, and the possible consequences. The modest goal is to promote (or maybe just remind of) the advantages of something as simple as a good night’s sleep. In the summer of 2017 at Carleton College, representatives from Information Technology Services and the Dean of Students Office met to discuss several complex topics: are student computing needs (an ever evolving concept) being met by our public labs; is a laptop necessary to be an effective student; and how we can best meet the needs of students from diverse economic situations. Based on this discussion, we started a pilot program using Chromebooks as long and short term loaner laptops. In this lightning talk, I’ll discuss our experiences in getting this program running, and our plans for the future. We are living in a fast paced age of communication where we need be responsive in a quick and accurate way. Software asset management (SAM) allows organizations to achieve results smarter and with less money. Knowing what software is owned and how it’s used allows organizations to make the most of their assets and to be strategic in moving forward. At MSU Denver we created a SAM team back in June 2016 and have saved close to $1 million so far! We’ve developed and implemented an in house SAM tracking tool and have performed several internal software audits to ensure license compliance. These achievements have really validated the need for a SAM team and associated processes. Today’s new student hires require less technology training in order to answer many 1st level helpdesk calls. However, we found that an increasing number of new student hires lacked exposure in proper customer service and professional communication. This observation led us to introduce customer service training for our new hires. This allowed us to achieve two goals. First, we improved the Helpdesk experience for our end users. Second, we improved our student employee’s soft skills to help them succeed in their first post-college professional job. Training initially focused on professional work etiquette, active listening, and traditional customer service skills for a three-hour training session. Though we saw an improvement in service performance, our satisfaction feedback from campus surveys showed only a marginal increase. Additionally, our student employees struggled with what they considered a “forced enthusiasm” that did not feel natural to them. More recently we added four additional themes to our training: empathy, patience, clarity, and positivity. Using a combination of videos, real-life examples, and training exercises, we encourage our students to practice these skills and build their comfort level when interacting with others. By teaching our students exercises in natural communication, empathy, and situational conversation, we hope to observe a more substantial increase in customer satisfaction and improved student employee job satisfaction. Given limited resources and time, the expense associated with acquiring emerging or unproven technology can be hard to justify. Not all emerging technology works as expected, and those who successfully lobby for limited resources can run the risk of being blamed for wasting limited resources when a pilot fails or purchased equipment doesn’t work as expected. The growing popularity of the Maker Movement and student interest in DIY Technology have provided a win-win situation at Lewis & Clark that has allowed us to experiment with technology that would have otherwise been out of reach. In this poster, I’ll show three of our experiments and talk about how we’ve learned that even when the project doesn’t work as expected, the student engagement that results from the collaboration often make the time and expense of even failed attempts worthwhile. When the manager of our service desk retired after 35 years of service to the college, it became apparent that change is on the horizon. When I took on the responsibility of filling that role, it was with the understanding that there would be much to learn about the way things had been done and, more importantly, “why?”. Do we have the tools we need? What data do I need to make decisions? Is my staff properly trained? What needs to change? Is it possible to have a proactive support model for our users? How are we doing? The path we took in answering these questions illuminated some key takeaways which are applicable to other universities and colleges. We found that although change is inevitable, it doesn’t have to be painful. After managing a Tech Desk for a year and a half, it was time to make changes, big changes. I had evaluated our systems, how they functioned, the service they provided and their efficiency. I came to the conclusion our three main systems needed upgrades. More specifically, we upgraded Schedule Source an online scheduling tool, our online poster ordering application, Prestashop and our equipment checkout system. Over the past year we have upgraded all three systems and still have some road blocks to overcome, but overall we are more efficient in serving our customers. Through these upgrades we have improved how we provide customer service and with holding workers accountable for their job performance. Through this paper, you will see what we had and what we moved to, as well as how it was evaluated and came to the conclusions that changes were needed. Our university uses a video conference system to facilitate a meeting between faculty on campus and faculty who were dispatched to overseas. And, it is also used to broadcast university events. The video conference system is used more frequently year by year. We use the Tandberg MCU, the Polycom HDX series, the Polycom RealPresence Group500 series and the Polycom RealPresence Desktop/Mobile. However, since the RealPresence Desktop/Mobile has high demand for network transparency, there are many restrictions on using from outside the university. This paper clarifies current circumstances and problems of operational support for our video conference system. It also reports the experience of using the Cisco WebEx and the Cisco Meeting Server to reduce the burden on operation, and the experience of operating in conjunction with the existing the Polycom HDX and Group500 series. Changes in technology education have led to myriad new ways for tech training to be developed and delivered. For UITS IT Training at Indiana University, this opened the door to shift the group’s training model to better fit organizational and learner needs. Previously, IT Training held live instructor-led training sessions that typically lasted 3-4 hours, supplemented with a set of PDF materials, that went progressively through the process of making a project in popular software programs available at Indiana University. Due to the changing landscape of technology training, IT Training and UITS leadership decided to convert IT Training’s workshop materials to an asynchronous, online delivery method. The driving factors behind this change were declining attendance at sessions, survey feedback indicating sessions were too long, and increasing popularity of “just in time” online resources (such as video tutorials or articles). IT Training has now turned 23 of its core workshops into self-paced online courses, easily accessed by learners at their convenience. The process included challenges adapting materials to a new modality, determining how to make content engaging and accessible, and establishing new development processes. Each potential roadblock required evaluation and planning to complete the migration successfully. IT Training’s core courses are currently live with over 1700 learners enrolled, and initial reactions to the courses have been positive. Next steps involve enhancing engagement in existing courses, introducing new courses, and continuing to find innovative ways to efficiently create and maintain high-quality learning experiences. At West Virginia University, Information Technology Services provides centralized enterprise resources and services, while additional independent IT groups provide support for individual colleges and units. ITS Advanced Support is a second-tier specialized support team of eleven individuals with diverse skills that supports over 80 software applications. In addition to responding to escalated and specialized support tickets, we serve as application administrators for select systems and participate in testing new applications and software upgrades. In this paper, I will summarize the creation of our multi-purpose Advanced Support Team, describe what we do, and explain how our team fits in the ITS organization chart and support processes. I will describe what is working well and the challenges we face juggling multiple roles and support topics. In 2015, it became clear to the Library and Academic Technology group at Washington College that the current asset management and support ticketing system was not adequate to handle the demands of a growing campus and catalog of devices to support. That service, GLPi, was supported in-house, and the senior systems engineer in charge of supporting the system had left the college. There was a need to move to a fully supported cloud-based service that could keep up with ever-increasing demands. Through a several month-long RFP process, four vendors were short-listed. Samanage, with its combined asset tracking and ticketing system at an affordable price point, was the clear winner. Library and Academic Technology needed to adopt the new system at an accelerated pace due to an impending asset audit that was to be completed in the summer of 2016. Samanage’s implementation team was incredibly helpful and worked with us to meet all our deadlines. Since 2016, the service has expanded to be used by multiple groups on campus to streamline common tasks and services. There are still many features and processes within Samanage that we have yet to explore, but have plans to implement in the future. How do you make decisions in your organization? Do you use formal tools or do you work from gut feelings? Or do you start with an RFP, and then work from there into what “feels right”. Formal tools, such as those introduced in Smart Choices, will provide you the steps you can take to help make an informed decision and information that you can use to help justify those gut feelings. Using the information provided here will give you a procedure that takes the guesswork out of decisions. Whether you are the final decision maker, or you provide input into the decision-making process, using these steps will improve your decision-making abilities and help you and your organization make smart choices in the future. At our university, we update information system infrastructure in March 2018. Regarding the operation of the exercise room PC, we consistently manage the update of the model, and each PC can make the same environment available by network booting. The network boot system tends to be delayed in startup due to a large amount of communication with the server when starting each PC. In this paper, we will describe the difference between the cache system (CO-CONV by CO-Cache Co., Ltd.), which is a conventional start-up speeding method, and the fully-caching system (Phantosys by Wasay Co., Ltd.) adopted this time. In Kyushu University, Information Infrastructure Initiative provides email service for students and staff members. Email services for students and staff members were started separately. For students, an email service was started as Unix accounts of “Computer System for Education” in 1995. On the other hand, an email service for staff members was started in 2009, and eventually the two mail services were merged into the current “Kyushu University Primary Mail Service” in 2014. The designs of these mail systems were affected by various operational issues and political decisions at their times. We think that running an in-house mail system is becoming less feasible due to the initial/operational cost, security issues, and our dwindling budget. For the current system, the planned 5-year lifetime ends in this fiscal year. Therefore, we are forced to migrate to a cloud-based mail service. In this presentation, we want to share our past experiences and future plans about our university email services. In recent years, there are many problems of network security such data breaches and unauthorized access due to targeted attacks on vulnerabilities. The campus network in a university is under various threats as well as corporate networks. In addition, many universities including the Tokyo University of Agriculture and Technology (TUAT) have taken Bring Your Own Device (BYOD), and the number and types of devices connected to our campus network are increasing. Since a campus network is used for wide range of education and research, there are many more types of connected devices than corporate network. Until now, we tried to reduce the security risk for our campus network by using the quarantine / authentication system, but it is not a sufficient system because some users bypass the quarantine using the system’s loophole. Therefore, we designed a campus network security system based on automatic shutdown with network monitoring for brand-new security measures of our campus network. In our system, network traffic is monitored on the campus network side (e.g. core switch, edge switch), and a device considered as high security risk is automatically isolated from the campus network on the edge switch. A dedicated portal is also provided for presenting the reason for isolating to the user. This can make it possible to effectively implement high levels of security measures while reducing the management cost for an operation and a user support as much as possible. In this presentation, we introduce details of the design and actual architecture of our system.